Benjamin has coached over 80 corporate executives and entrepreneurs individually and trained over 2,000 clients in the following: managing generations at work, motivating and empowering high-potential Millennials, public speaking, presentation skills and professional coaching. Benjamin is also one of the youngest Associate Certified Coach (ACC) with the International Coach Federation (ICF) based in Singapore. His clients include entrepreneurs, professionals, directors and CEOs from companies and organisations such as ANZ Bank, MOE, IBM, DHL, AIA, ERA, Barclays Capital, Ernst & Young, Lend Lease Singapore, Franklin Templeton Investments, Walton International Group and Motul S.A. He has spoken at TEDxYouth@Singapore, TEDxSingapore, Bucket List Night, Pecha Kucha Singapore and has also been featured on over 50 occasions on local and regional media such as Channel NewsAsia (CNA), Radio Television Hong Kong (RTHK), Malaysia BFM 89.9, Korea JoongAng Daily, The Straits Times, The New Paper, Lianhe Zaobao, The Sunday Times, The Business Times, 938LIVE and Gold 905. 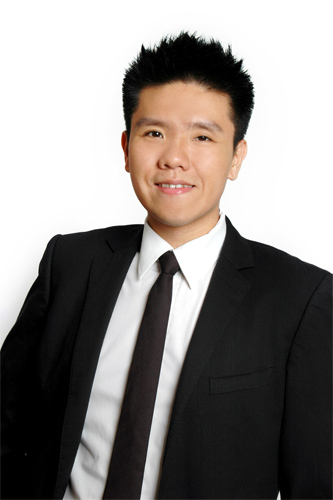 An alumnus of the Singapore Management University (SMU), Benjamin graduated with a Bachelor of Accountancy (BAcc) and is regularly invited back to SMU for talks and trainings. In the spirit of continual education, Benjamin is pursuing his Master of Training and Development (MTD) from Griffith University, which is offered through the Institute of Adult Learning (IAL) in Singapore.